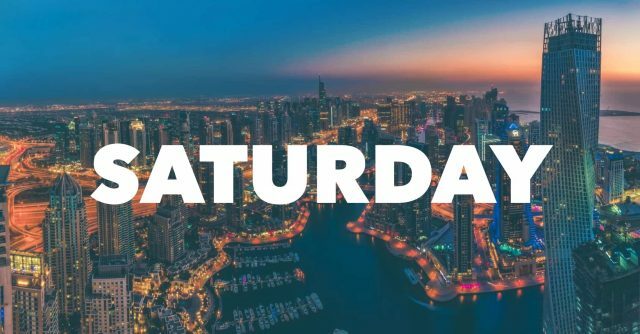 Looking for the best parties in Dubai this weekend? From banging clubs in Dubai to poolside parties, we’ve got you covered. 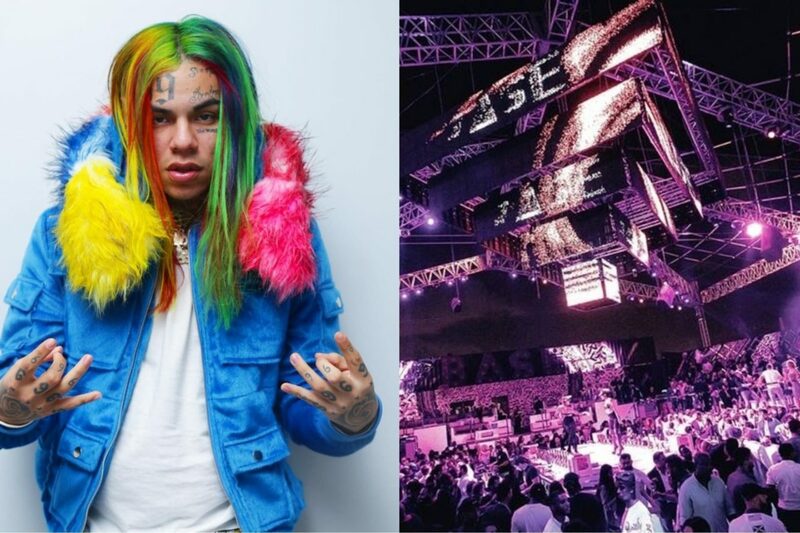 What’s on: Hip-hop star Tekashi 6ix9ine will be playing Base Dubai on Thursday to help launch their new ladies’ night. Complimentary beverages for ladies all night. Call +971 55 313 4999. What’s on: WHITE Dubai is hosting ladies’ night with live performances and unlimited drinks for the girls until midnight. Call +971 50 443 0933. What’s on: It’s hip-hop Thursday at 1OAK with Mr Levier & Tony Mendes on the decks. Call +971 52 881 8888. What’s on: It’s Hyp-notize ladies’ night at Billionaire Mansion with Mr Shef Codes, Kaboo and Skinny Loop on the decks, and complimentary drinks for ladies from 10:30pm onwards. Call +971 4 510 3100. What’s on: Come down for old school hip-hop with DJ Keza on Thursday at Weslodge Saloon. Call 04 560 1700. What’s on: Barasti Dubai is hosting Oktoberfest celebrations on Thursday with live music, traditional food and plenty of hops. Call +971 4 399 3333. What’s on: It’s Twisted at Armani/Privé on Thursday featuring House, Deep Tech, Afro House, Tropical House. Complimentary open bar for ladies from midnight until closing. Call +971 56 681 7106. What’s on: Cirque le Soir Dubai is hosting its Cartel ladies’ night with urban beats on showcase courtesy of Nana B. Call +971 50 9955 400. 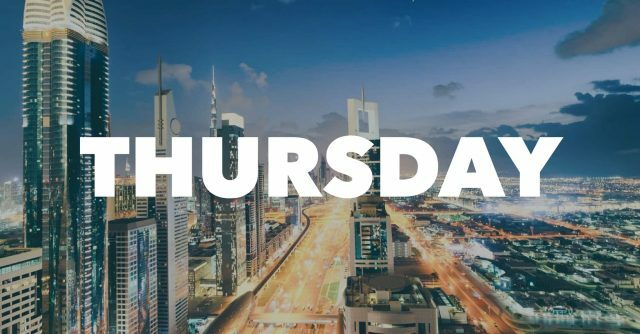 What’s on: Come down for Pop Thursday at XL Dubai with DJ Phisics taking over music duties, along with freebies for the ladies. Call +971 52 6341040. What’s on: Zero Gravity Dubai is hosting its Social Club evening brunch from 8pm-midnight. Cost is AED 275 for ladies and AED 325 for gents, including unlimited food and beverages. Call +971 4 399 0009. What’s on: Gotha Dubai has DJ Saif and Sound on the decks this Thursday. Complimentary beverages for ladies until 1am. Call +971 55 1 934 934. What’s on: Soho Garden is hosting headlining act Andrea Oliva for all the House and underground music lovers on Thursday. Call +971 52 388 8849 / +971 56 822 2559. What’s on: Legendary producer Black Coffee will perform at Blue Marlin Dubai on Friday. Free entry before 5pm. Call +971 56 113 3400. What’s on: The 7th Season Of Groove On The Grass is back on Friday with artists including James Zabiela, Dewalta & Mike Shannon, East End Dubs and more on the line-up. Doors open 6pm. Tickets from AED 260. What’s on: Cafe Mambo returns on Friday for a summer edition at Soho Garden, with special guests DJ Dee Montero with duo Amine Edge & DANCE. Call +971 56 822 2559. What’s on: It’s the best of Deep Tech at Industrial Avenue with DJs Adam Cotier and Nana B on the decks. Open bar for ladies until midnight. Call +971 52 293 5907. What’s on: DJ Flipp’side takes over the decks at Toy Room on Friday night. Call +971 52 463 3338. What’s on: Come down for a brunch after-party at XL Dubai from 4pm-9pm with free entry. Brunch at Andreea’s runs from 1pm-4pm and is priced at AED 295 (or AED 350 for bubbly). Call XL Dubai at +971 52 634 1040 or Andreea’s at +971 4 408 4400. What’s on: It’s Billion*Her ladies’ night at Billionaire Mansion with complimentary drinks for ladies from 10:30pm onwards. Call +971 4 510 3100. What’s on: Tribeca and Taste of Jamaica are hosting a special Caribbean Affairs sessions on Thursday with live band Kingston 10 alongside other guest DJs. Call +971 50 345 6067. What’s on: Barasti Dubai is hosting the final day of its Oktoberfest celebrations on Friday with live music, traditional food and plenty of hops. Call +971 4 399 3333. What’s on: It’s TGIFF (Thank goodness it’s Fusion Friday) at Seven Sisters. Call +971 56 775 4777. What’s on: Brunch the Spanish way at Casa de Tapas every Friday with a range of specialties on offer along with a live Spanish duo, DJ and after-brunch party at Cielo’s. Running from 12:30pm-3:30pm, brunch is priced at AED 210 (soft), AED 260 (house), and AED 315 (sparkling). Call 04 416 1800. 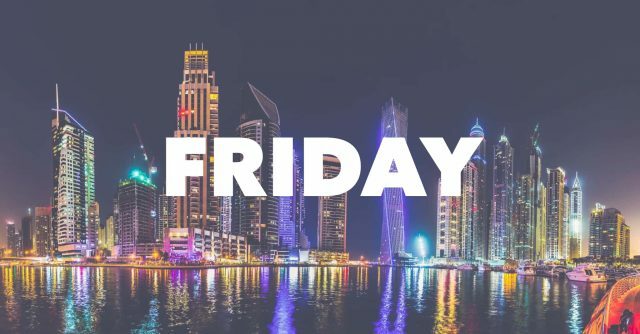 What’s on: Barasti Dubai is hosting their Corona Sunsets pool/beach featuring live music, glitter body paint and dream-catcher stations, along with deals on Corona. Call +971 4 399 3333. What’s on: Drai’s is hosting the UK’s infamous day party LoveJuice with George Mensah, Nana B, Hains, Bongo Ben and others performing. Call +971 52 388 8857.